Marcelo Bielsa’s Leeds United were having a tough ride, but a 2-0 win over Frank Lampard’s Derby County saw them have the only breakthrough moment in the week. But this match witnessed one of Bielsa’s greatest secrets being revealed, in which he claims that he has spied on every opponent he has played till date. Bielsa confessed to spying on Derby after one of his staff was caught at the Rams’ training ground on Thursday. Bielsa has been accused of cheating by covertly monitoring opposition teams, but he insists that none of his methods was unethical. "I observed all the rivals we played against and watched the training sessions of all opponents," he said. Bielsa announced a press conference on Wednesday in which the media prepared to tear him up with controversial questions on his act. 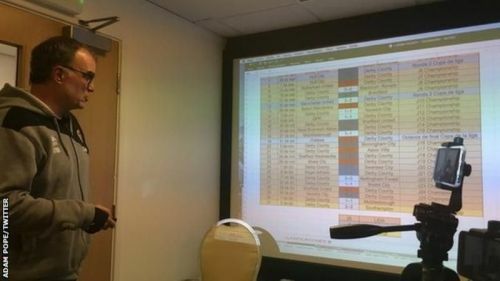 But instead of succumbing to the pressure, Bielsa turned the 70 minute conference into an analytic session in which he described his whole analysis and preparation after gathering information. He proceeded with a PowerPoint slide to explain the whole process step by step and the journalists sat there without having the slightest chance of edging towards a controversial question. Bielsa has been a popular figure in Leeds. 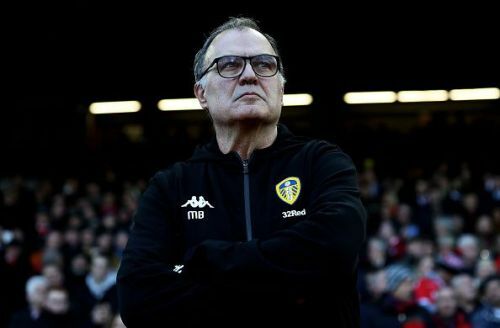 He has not only taken Leeds four points clear at the top of the Championship guaranteeing a Premier League return, but also, merely got his side playing thrilling football with a raft of exciting young players, He has successfully rejuvenated the whole club. His humility, honesty and passion have made people fall in love with the man and Leeds again. “What I have done is not illegal. It's not specified and it's not restrained. We can discuss about it. It's not seen as a good thing but it is not a violation of the law.” Bielsa said. The English Football League has asked Bielsa and Leeds to explain the "spygate" scandal, while Derby boss Frank Lampard remained highly critical of the incident. However, The EFL have made no immediate comment in response to Lampard’s allegations on Bielsa’s revelations. Some have been far less critical with Southampton boss, Ralph Hasenhuttl admitting on sending German spies over to his rival teams in Germany. Some have claimed that the philosophy he is sharing is unprecedented. A story came up in the newspapers that Bielsa showed Pep Guardiola his analysis after Barcelona lost to Bilbao earlier this season. Guardiola took a look at it and exclaimed “You know more about Barcelona than me” but that was useless as they scored three goals. BBC reporter, Adam Pope, from the press conference room says, “His diligence and dedication for the betterment of Leeds United was measured in the classroom on Wednesday, and it is reflected in the respect he has for the competition and his opponents by the extra homework he is prepared to do.” Leeds, meanwhile have gained the services of Real Madrid keeper, Kiko Casilla as they seem to make a return to the Premier League for the first time since 2004.